February was just another cold, miserable month for me, up until my boyfriend and I hopped on a plane and headed to Dubai. Apologies for my lack of posts recently; I thought I'd have a little break and switch off from the Internet as much as possible, whilst on holiday. Regular uploading has now resumed. 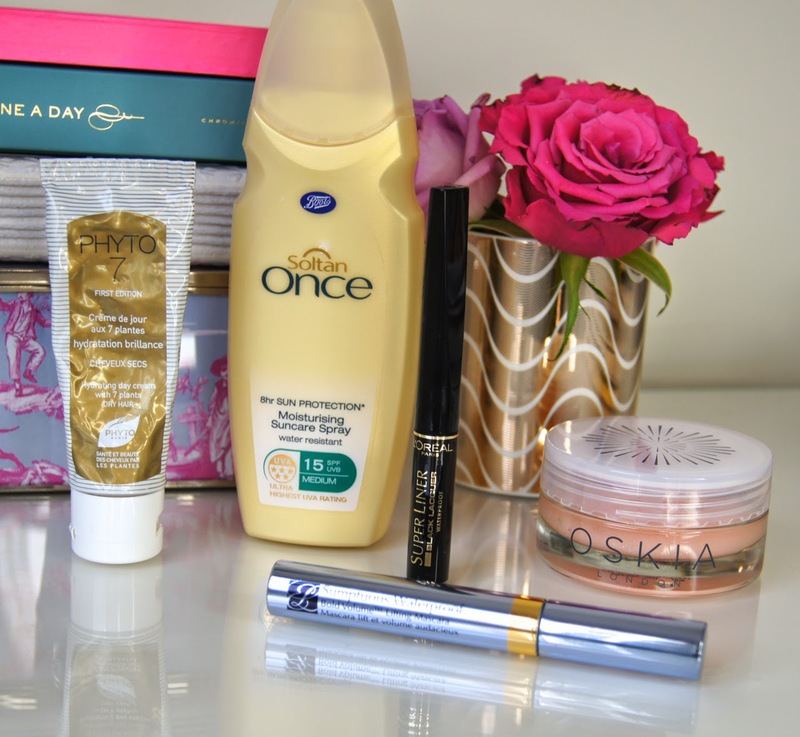 Thanks to my time in the sunshine, last month's favourites include some holiday-only additions, which wouldn't usually appear on the blog until May, at least. On Valentine's day, to pair with my obligatory, red-lip, I decided to use a liquid eyeliner to create a classic, winged eye. 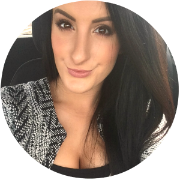 A clean, black flick was something that graced my face daily for a good, few years, until my taste changed and I turned to smudged, kohl pencil to give my lash-lines definition. 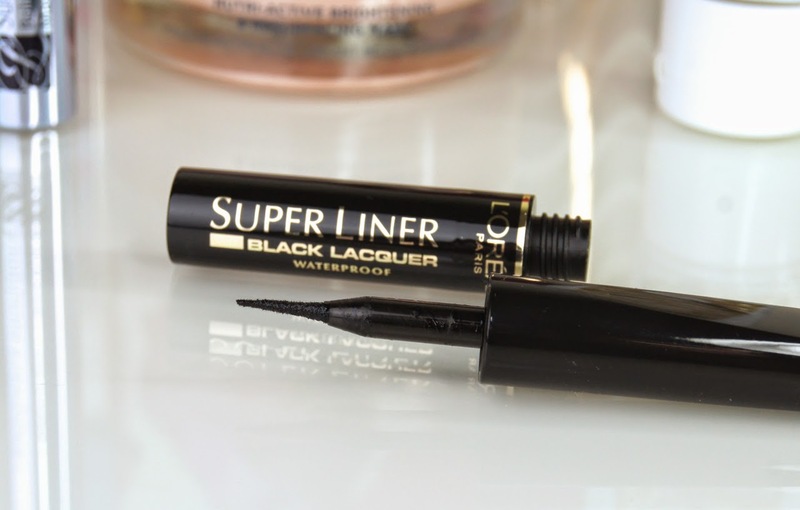 But, ever since using it again, I've fallen back in love with the simple style and my old-favourite tool for the job, the Loreal Super Liner Black Lacquer Waterproof. The pointed, foam-tipped applicator is firm enough that it applies a smooth line, but soft enough that it's flexible and easily follows the curves of the eye. Having a spongey texture, the tip soaks up the liquid and doesn't dry out until the tube is empty. Totally fool-proof, with just one swipe the pigmented liner is opaque and I never find myself having to do a patch-up job. As it's long and thin, you can literally lie the wand onto the lash-line and all the hard work is pretty much done for you. Long-lasting, the extreme wear formula dries quickly and remains looking perfect all day and night, without flaking, smudging or fading. If you struggle with liquid eyeliner, this one is so easy to use and practice your technique with. You may have already read my glowing review of the Oskia Renaissance Mask that I posted a couple of weeks ago. But, as it's been a staple in my current, skincare selection since I first cracked open the jar, I couldn't leave it out of this round-up. Rocketing up to the number one spot in my mask menu from first use, this treatment does it all. Aimed at resurfacing the skin and brightening, Oskia have combined nutrient-rich, active ingredients with a luxurious texture. Skin texture is not only refined, but it's left soft, plumped and more even-toned. It is a pricey product, but I like to invest in skincare and notice a huge immediate and long-term effect when I use this one regularly. 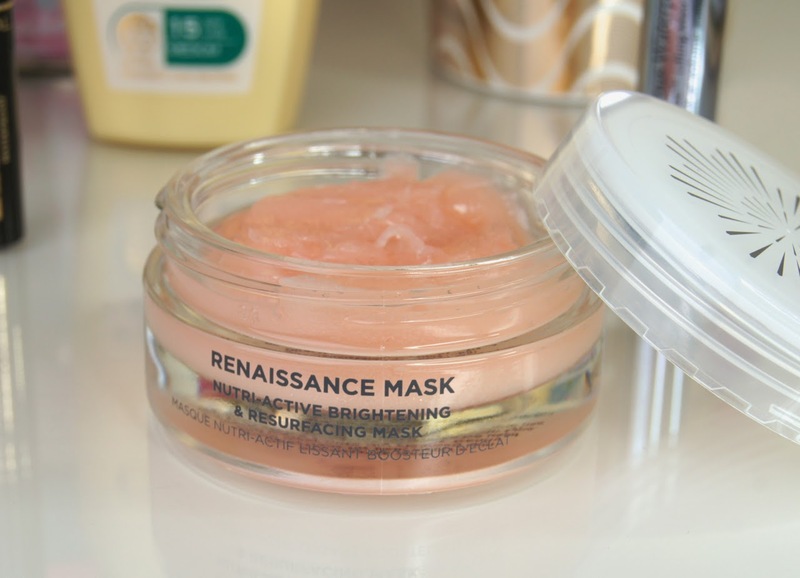 If you want more of an in-depth look at this mask, then check out my full review. As I don't have a problem with my mascara smudging or printing underneath my eyes on a daily basis, I only ever use waterproof mascara when I'm on holiday. Ready for my trip to the UAE, I hunted down the trusty mascara that I always turn to when I need it, the Estee Lauder Sumptuous Waterproof Lifting Mascara. 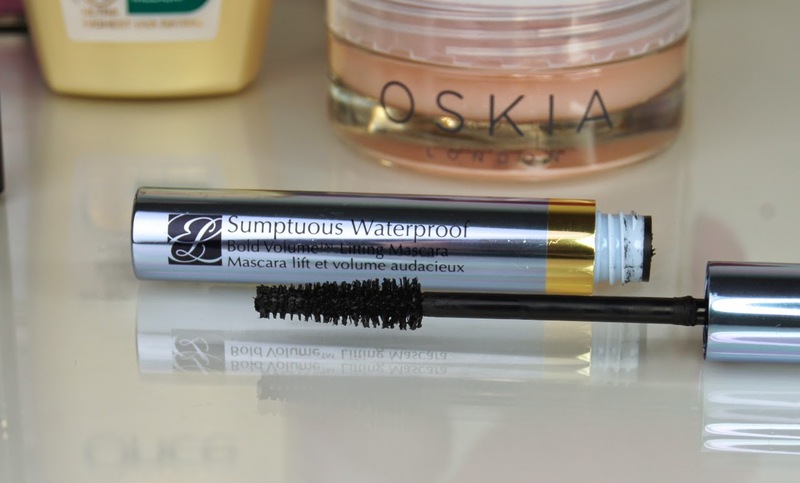 With a lot of waterproof formulas, I find that they either don't actually work, or they leave my lashes looking sparse and feeling crispy, which defeats the whole object of bothering to use one in the first place. With Estee Lauder's mascara however, my lashes are given a boost in volume and length, whilst the curl is held in place without a heavy, cement-like coating. Best of all? No matter how sweaty I may get, or how much I throw myself around the pool/sea, I can guarantee that I won't be left with panda eyes. It doesn't take half a bottle of special, eye makeup remover to get it off, either. A gentle sweeping of a Bioderma-soaked cotton pad and job done, with no stinging or irritation. Protecting hair from the sun to prevent damage is important, but wearing hats really isn't my thing. I wish I could rock a wide-brim, floppy hat and look all glamorous, but realistically, that doesn't happen. 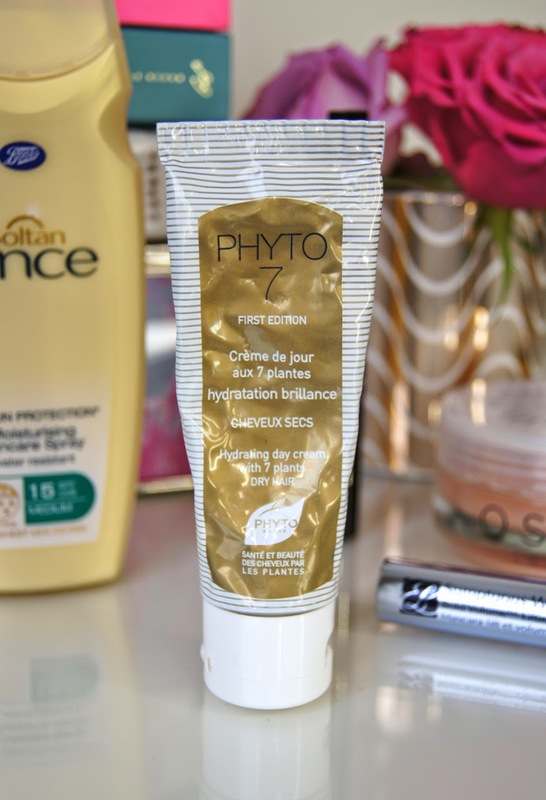 Instead, I like to slather on some of the Phyto 7 Hydrating Day Cream, which is a leave-in conditioner full of natural, plant extracts and free from silicones. Initially, the cream seems quite thick as you squeeze it out, but it soon emulsifies into more of a milk as you rub it between your hands. Using a treatment product on dry hair can seem daunting, but as it's non-greasy, it doesn't weigh the hair down or leave it looking lank. Helping to combat frizz and static, prevent split ends and hydrate, hair is left softer, sleeker and so shiny. It's particularly good at ridding hair of that annoying fluffiness it can get when it's freshly washed, making styling a lot easier. SPF is such an important product, especially when going on holiday, but it's unusual that I find one I'm exciting to use. Before now, I'd been loyal to Piz Buin and I'd dabbled with Institute Estherderm, but I thought I'd try the Soltan Once Moisturising Suncare Spray, for this trip. Trusting a cream to give you solid protection for eight hours at a time can be scary, but this is one product that has done exactly that, with no tinges of red appearing whatsoever, by the end of each day (making sure we've used the appropriate factors for our skin, 25 for myself and 15 for Craig). I have topped it up on days when I've been in and out of the pool/sea, but otherwise, the protection has lasted the full eight hours. Not only is the 5-star UVA defense impressive, but the moisturising texture gives the skin a gorgeous sheen, without leaving it covered in a layer of white grime that's impossible to rub in. This is definitely a product that boosts your confidence when wearing a bikini, as it blurs out any imperfections on the skin and gives it a radiant glow. It is quite a rich lotion, but it isn't sticky or too greasy and, after your day in the sun, skin feels so soft and hydrated. Even once you've washed it off, using a separate, body moisturiser isn't necessary. Coming in a spray bottle, it's easy to use and each spritz delivers a generous amount of product to thoroughly cover. 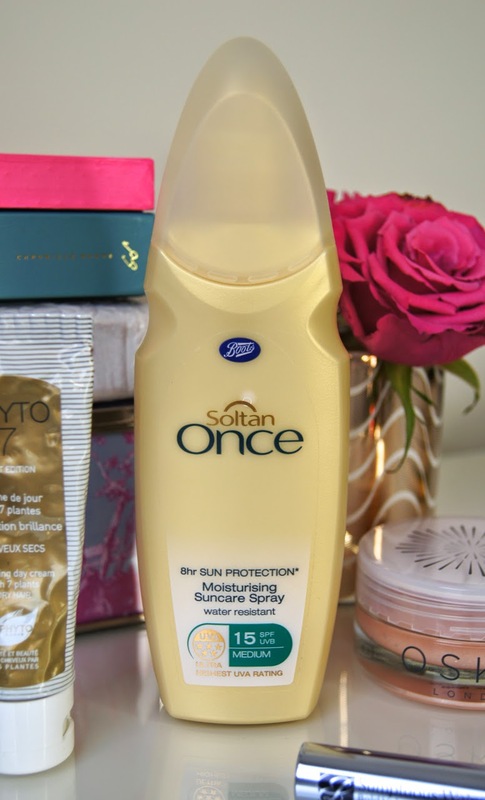 I'll definitely repurchase this sun care spray before my next holiday!